Eddie Motor Sports CNC machine's these billet interior knobs from 6061T6 aluminum and offer them with a black fusion (power coading) finish. They are sold in a seven piece set that covers cruise control, turn signal, A/C/heater controls, and radio controls. 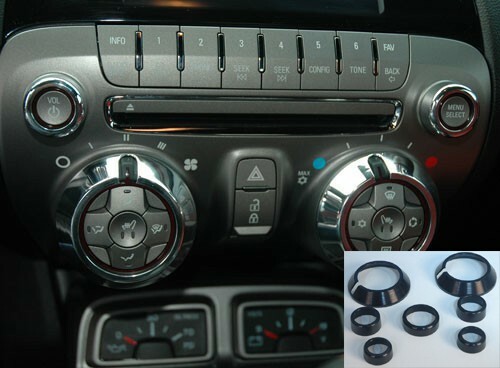 The knobs snap over your stock pieces but may require a touch of silicone or super glue to hold in place.